Fifteen students of the county’s Search and Rescue (SAR) Academy recently completed their final field testing and certification, culminating classroom and field work that started in March and entailed more than 90 hours of instruction. The Sterling Nature Center is located in northern Cayuga County on Jensvold Road, one mile north of the Sterling Renaissance Festival. For more information call the center at 315-947-6143, email at [email protected] or find us on Facebook. Area students were recently named to the President’s List for outstanding academic achievement during the spring 2013 semester at SUNY Canton. At CNY Arts Center’s Arty Day Camp, July 15-19, from 9 a.m. to 2 p.m. for ages 5 to 15, kids can choose from art, writing, dance or theatre, enjoy lunch and group art projects in the afternoons. Scholarships are available. When it comes to hosting the largest golf tournament in Oswego County, the United Way realizes that it would not happen without the many volunteers who donate their time and talents to make it possible. More than 40 volunteers will be hand at the Oswego Country Club when the United Way of Greater Oswego County’s 18th Annual Golf Classic tees off on July 15. With the summer now if full swing, the Oswego County Health Department is reminding people to protect themselves from mosquito bites to guard against diseases such as Eastern equine encephalitis and West Nile Virus. Oswego weather has been known as somewhat of a loose cannon and unpredictable. 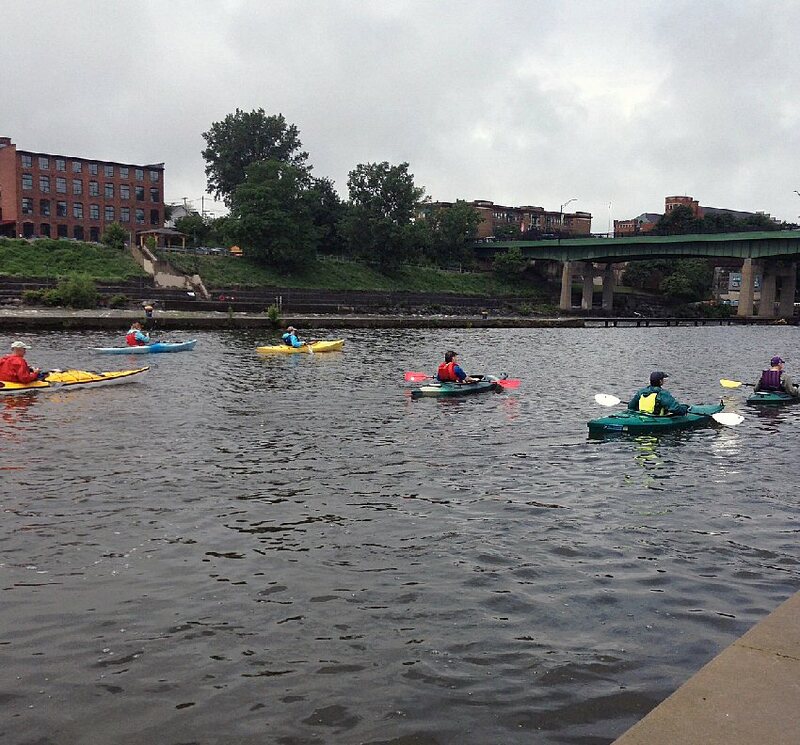 But, Mother Nature wasn’t able to keep the kayaks out of the water at the “Rock the Lock” Oswego Paddlefest this weekend. 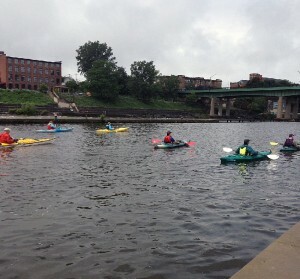 Paddlers were set to launch from Wright’s Landing at noon and were greeted with a heavy rainfall all morning. That didn’t scare off kayakers though. Dave Danzer earned his third Novelis supermodified feature win Saturday night at the Oswego Speedway. Wrestling the lead away from early front-runner Tim Devendorf on the 39th lap, Danzer would race unchallenged the rest of the way. It was the third top-five finish of the year for the Oswego native and pilot of the Hawk Racing Chassis No. 52. Edward C. Geers, born on September 4, 1932, a lifelong resident of Oswego, passed away on Saturday, June 29, 2013, at St. Luke Health Services in Oswego, with his loving family at his side.